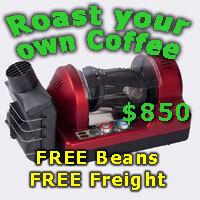 Hi all, as the title suggests I am looking for a new grinder to go with my Rocket R58. Rarely make more than 2-4 coffees at a time, mostly milk based. Looking to spend around $1000 and am currently considering the Mazzer Mini E and Macap M42D as the main contenders. Any help distinguishing between the two or alternatives appreciated. Wait a month and my lightly abused Mazzer Mini e will be available on here (heavily discounted :-) subject to the Niche Zero arrival and performance. stephenfankhauser and SanderP like this. I did quite a bit of research on grinders when I was looking and either of those will do a great job of grinding. Mazzers have an extremely good reputation. The Macap has received plenty of praise in this forum. In relation to the doser. It will be handy when making 3-4 cups or more. If it's 1 or 2 then it can get in the way a bit. Considerations include whether you want the grinder to hold the portafilter without you (M42D won't), whether you care how long the grind takes (Mini is slower than the rest listed), if you care about the volume of the grinder (Atom is quietest), if you want it to match your R58 in the looks department (Fausto in chrome has that in spades). There are those of there that believe the Mini is a solid grinder but it's time at the top has past and the are better options, same can be said for the M4D (not sure how much has changed grind quality wise to the M42D). Cheers, some very good points. The Fausto certainly looks the goods and gets good reviews. I hadn't originally looked at it due to price, but the more I look the more I want! Eureka Atom also looks appears to be a great option and quite a bit cheaper. So hard to choose!! Thanks, they do see to be a nice unit. I have no complaints about the Fausto. Quiet & quick and the chrome looks great. The Fausto is actually made by Eureka for Rocket. Same grind adjustment mechanism. Brewster, Casa Espresso and stephenfankhauser like this. Brewster and stephenfankhauser like this.